The occasion of the November 30 performance of Winterreise by Music Professor Curt Cacioppo and Canadian baritone Alexander Dobson has engendered collaboration among 60 students and five faculty members across disciplines. On November 30 the Performing Artists Series at Haverford College will host a performance of Franz Schubert's song cycle Winterreise by Ruth Marshall Magill Professor of Music Curt Cacioppo and Montreal-based baritone Alex Dobson. But the event involves much more than just the beautiful music that will be presented on stage; the performance will mark the culmination of months of collaboration between the two artists, some 60 students and five professors across campus in different disciplines. The road to this concert began over the summer, when Cacioppo met Dobson at the Carmel Bach Festival, where Cacioppo was composer in residence. The two read through Winterreise, a setting for 24 poems by Wilhelm MÃ¼ller for voice and piano, and decided on the spot that they wanted to perform it together. The famous 24-song cycle is about the titular“winter journey” of a spurned lover who wanders into the snow and moves from feelings of rejection and betrayal to paranoia, numbness and longing for death. It was written at the end of his life, as Schubert succumbed to terminal illness, and it has been performed and recorded by Thomas Quasthoff with Daniel Barenboim, Peter Pears with Benjamin Britten, and Gerhard HÃ¼sch with Hanns Udo MÃ¼ller, among many other celebrated artists. Winterreise was a natural fit for Cacioppo's“Advanced Tonal Harmony” class, since he always makes a point of integrating his syllabi, whenever possible, with the performances that happen on campus. So, this semester his students have done an in-depth analysis of Schubert's entire work and are composing response pieces to the cycle. But the classroom connections don't end there. With support from the John B. Hurford '60 Center for the Arts and Humanities (HCAH), Cacioppo engaged Associate Professor of Fine Arts Markus Baenziger and his sculpture class, Associate Professor of Fine Arts Hee Sook Kim and her silkscreening students, Assistant Professor of German Imke Brust and her“Elementary German” students and Associate Professor of German Ulrich SchÃ¶nherr and his“Intermedial Transformations” class in over the three months of interdisciplinary collaboration related to Winterreise. The fine arts students are using it as inspiration for their own work, and the German students are doing research and creating film documentaries on the composers' and artists' creative activities, as well as using the songs' lyrics as a source for grammar and vocabulary study. All the students, along with Cacioppo's own composition students, are linked together via a Moodle chat room and visiting each others' classes to synthesize what they are learning. The student compositions will be read by Dobson and Cacioppo in the days before the November 30 concert, and on November 26, Winterreise and Beyond, an exhibition of the related student art work, will be held in Founders Common Room, accompanied by a showing of the film shorts that are being made. Additionally, a reception, replete with Viennese culinary delicacies like Sachertort and marzipan, will follow the performance, which will also be the first chance to hear the College's BÃ¶sendorfer Imperial concert grand since its return to campus after more than a year of restoration by the Cunningham Piano Company of Philadelphia. 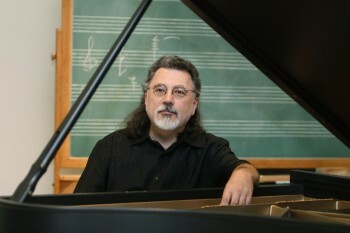 For more information on the concert: http://www.haverford.edu/calendar/details/212591.